Today we will visit the spectacular Cappadocia region, unique for its fascinating and unique landscape formed by the lava thrown out by volcanoes Erciyes and Hasan, 3 million years ago. 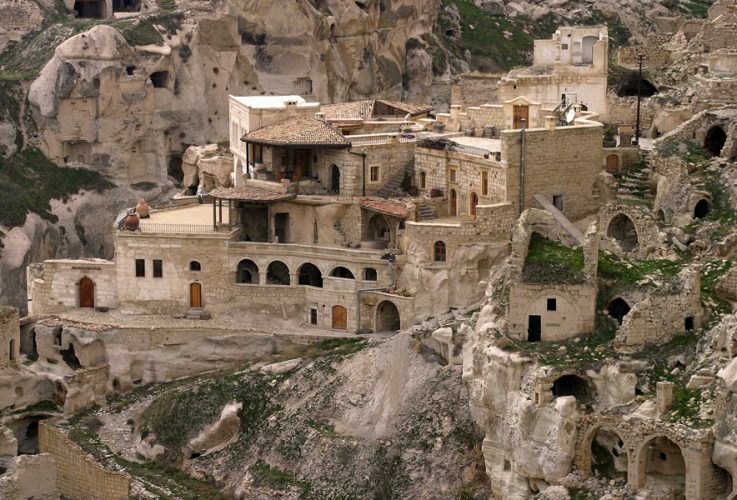 Visit the many monasteries and chapels in Goreme, World Heritage Site by UNESCO, dug into the rocks and decorated with frescoes of the tenth century (some of them very well preserved). Pass by and admire a panoramic view of the castle of Uchisar on top of a mound of volcanic rock crossed by tunnels and windows and Avcilar Valley. Lunch and in the afternoon, visit the village of Avanos, famous for its handicrafts and valleys and Gόvercinlik Valley (Pigeon Valley). Visit the underground city of Kaymakli or Serhatli, one of 36 underground cities of Cappadocia served as a refuge for Christians. Return to hotel and dinner. After breakfast departure to Kayseri airport for return flight to Istanbul. Arrival and transfer to your hotel. DAY 6: ISTANBUL – AIRPORT: At the appointed time will be transferred to Istanbul airport to board the return flight.